NIT1 antibody LS-C197785 is an unconjugated mouse monoclonal antibody to human NIT1. Validated for ELISA, IF, IP and WB. NIT1 antibody was raised against nIT1 (NP_005591.1, aa228-327 partial recombinant protein with GST tag. MW of the GST tag alone is 26 KDa. 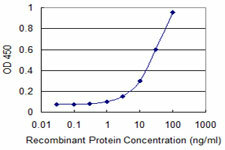 Sandwich ELISA: Recombinant protein. Western Blot: Transfected lysate, Recombinant protein. Western Blot analysis of NIT1 expression in transfected 293T cell line by NIT1 monoclonal antibody (M01), clone 1C3.Lane 1: NIT1 transfected lysate (Predicted MW: 35.9 KDa).Lane 2: Non-transfected lysate. 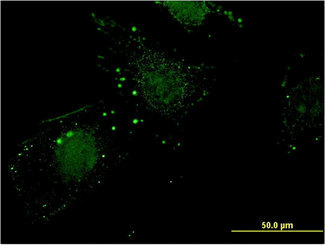 Immunoprecipitation of NIT1 transfected lysate using anti-NIT1 monoclonal antibody and Protein A Magnetic Bead, and immunoblotted with NIT1 monoclonal antibody. 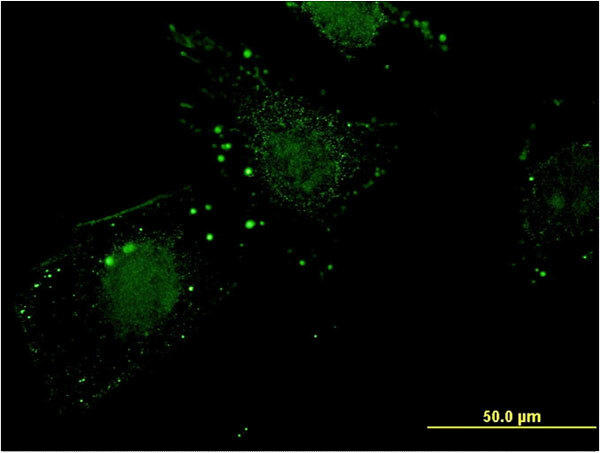 Detection limit for recombinant GST tagged NIT1 is 1 ng/ml as a capture antibody.